Technology has been the career path for MBA graduates over the past few years, as banking and finance, traditionally the preserve of MBAs, lost some lustre in the wake of the financial crisis. Just as tech companies such as Amazon, Apple, and Google have drawn billions of consumers, freshly-minted MBAs have, increasingly, been attracted to their entrepreneurial culture, high compensation, and in some cases a better work-life balance. That love affair appears set to deepen in 2019, according to early recruitment patterns reported by business schools. And if past trends are any indication of the future, then tech hiring appears on track to be buoyant in 2019. 89% of tech employers GMAC polled for its 2018 Corporate Recruiters Survey planned to hire MBAs in 2018, up from 84% the year before. For some schools that projection certainly played out, with Duke University’s Fuqua School of Business and the Kellogg School of Management, both reporting record employment rates for the tech sector recently. For Fuqua, the surge in tech hiring was almost 50% in 2018 compared with 2017, with tech companies snapping up 28% of the 2018 graduating class, including Amazon, the school’s top recruiter, plus Microsoft, Google, Dell, and others. For the first time, the US West Coast was the top destination for Fuqua MBAs. Some 30% of the cohort worked there last year, up from 24% in 2017, though some joined western healthcare and consulting companies. That’s significant because many of the world’s biggest tech employers are based on the US West Coast, in Silicon Valley. “It was a significant one-year shift,” says Sheryle Dirks, associate dean for the school’s Career Management Center, of the tech hiring rush. She says there’s increased interest from both students and tech employers: “Many [students] find tech jobs appealing because of the chance to use their MBA skills to work on innovative projects, and products that are in-demand. The median annual salary for Fuqua’s MBAs working in the tech sector last year was $130,000, higher than the median salary for those in finance ($125,000), but lower than what consulting firms paid ($140,000). But tech companies are known to offer fresh recruits stock options, boosting total compensation. Elsewhere, tech recruitment has been more of a mixed bag. At the Tepper School of Business at Carnegie Mellon University, it fell by 10% in 2018 when compared to 2017, a year in which an enormous 43% of the MBA cohort went to work for tech companies. But Stephen Rakas, executive director of the Masters Career Center at Tepper, puts the fall down to swelling student interest in other industries, rather than tech recruiters scaling back their hiring. “The shift this year is largely due to the percentage of our MBA women going into consulting more than doubling this year, which isn’t a bad thing,” he says. Another positive sign for b-schools is that Amazon is opening two new headquarters, in New York City and Arlington in Virginia, close to a clutch of schools from which the company hires. The ecommerce giant already employs the largest number of MBAs from a bevy of schools including MIT’s Sloan School of Management, and the company says it will create 50,000 jobs across the two new HQs. The University of Virginia: Darden’s new Rosslyn campus is near to Amazon’s Arlington HQ. The business schools of George Washington University, George Mason University, American University (Kogod), and the University of Maryland, are also relatively close by. In New York City, Cornell Tech neighbours Amazon’s new Big Apple base. 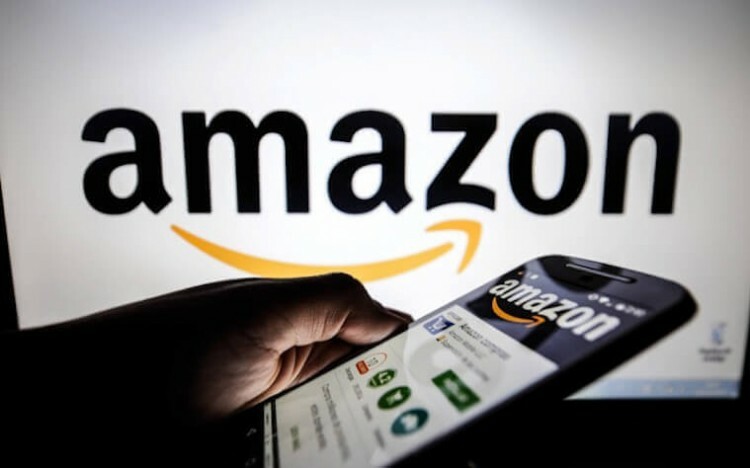 NYU’s Stern School of Business and Columbia Business School, both in the city, also may benefit from better access to Amazon recruiters, alumni and events, even though much of Amazon’s hiring in the near term seems likely to remain based in Seattle, its original HQ. “This will only expand our access to Amazon recruiters. And [just] as importantly, our access to our alumni as guest speakers, and ongoing collaboration for curriculum development,” says Jenny Zenner, senior director of Darden’s Career Development Center. At Cornell University’s Johnson Graduate School of Management in New York State, the sister school of Cornell Tech, the proportion of two-year MBAs taking tech jobs leapt by 6% to 18% in 2018 versus 2017. The growth came at the expense of consulting and financial services, according to David Capaldi, director of Johnson’s Career Management Center. He says the Center has placed a greater focus on tech, organizing three “treks” to New York City, Boston, and the west (San Francisco and Seattle) to promote corporate and alumni engagement. “We expect hiring in the tech sector to be strong, given the current economic condition,” says David; US economic growth has been robust this past year. Alluding to future tech hiring patterns, several schools report a recent spurt in internship recruitment activity. Stephen, at Tepper, adds that tech companies’ internship courting process began earlier this year, which could indicate a more ravenous appetite for fresh hires. According to Stephen, the earlier application deadlines are a bid to attract MBAs considering working at consulting and finance companies, which are known to recruit early. “I’m anticipating another strong recruiting season for the technology industry [in 2019],” he says. One headwind for US tech companies in 2019, and other employers, is the Donald Trump administration’s heightened scrutiny of international students’ visa applications. Given that tech companies take a large share of H-1B visas, and US business schools rely on international students to fill their MBA programs, this is a concern. Still, with tech employers active on campus, all the signs for high levels of recruitment in 2019 are there. Great News! Its a big opportunity for MBA Students. Work Hard. After completing my MBA, I am searching for so many sites for bank jobs.one of a friend suggest me jobads sites for job updates, it really helps us.